A Landmark Park in Our Own Backyard. The Highland Park West neighborhood is fortunate to have Perry Park at the center of our community, which enriches the quality of life and makes our community more livable and desirable for homeowners and businesses. The Park provides a center for people of all ages and abilities to participate in a wide range of social and cultural experiences. However, upper Perry Park is an often neglected part of this neighborhood resource. 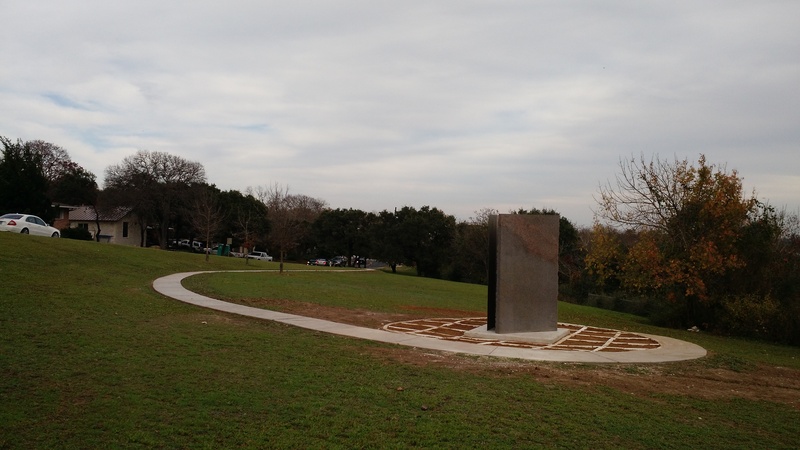 The Friends of Perry Park and HPWBANA Beautification Committee have been in discussion with Austin Parks and Recreation Department (PARD) and The Contemporary Austin – Laguna Gloria to improve this area. We have a wonderful opportunity to partner with our cultural neighbor, who has offered to provide a long term loan of one of their outdoor sculptures, to enrich upper Perry Park. Long term plans include the possibility of adding two more pieces of art in this beautiful setting. We are creating a community art sculpture park. The first phase of the Perry Art Park was completed in the fall of 2015 with the placement of the Huntington “Dayton”, the first sculpture. 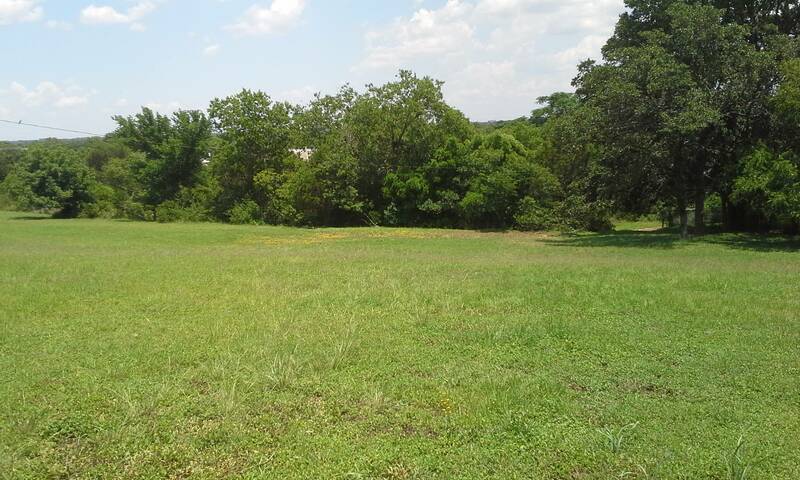 The large open field on the Balcones Dr side of Perry Park before construction of the Perry Art Park.